The Last Days of the Romanov Dancers, by Kerri Turner, is a wonderful and thoroughly enjoyable story to read. I’m a sucker for anything set in Russia. I devoured Paullina Simons’ The Bronze Horseman series, with Tatiana and Alexander and have read my way through plenty of Russian literature, including Anna Karenina and Crime and Punishment. I’m also drawn to any story related to ballet – partly a hangover from my childhood obsession with the book, Veronica at the Wells, and partly because I’m endlessly fascinated by dancing. It all seems like so much magic to me, being entirely physically uncoordinated myself! Turner’s debut novel is an excellent story to add to your reading list if you’re a fellow Russia / ballet tragic. Set in Petrograd during World War I, The Last Days of the Romanov Dancers follows the careers and loves of Valentina Yershova and Luka Zhirkov. Both talented ballerinas from working class backgrounds, they must navigate the politics of the Romanovs’ Imperial Russian Ballet amidst the growing backlash against the Tsar, his advisers and everything they stand for. Before she died, Valentina’s mother arranged for her to have a ‘protector’, leaving her daughter in the care of a wealthy patron who funded a lavish lifestyle and paved her way to principal roles in the ballet company. A typical arrangement for ballerinas of the time, Valentina traded wealth and influence for exclusive access to her bed. But Valentina has now been traded to a new protector who is more demanding – and temperamental – than her first. Luka is a new member of the Imperial Russian Ballet and comes to it with a naive belief that advancement is awarded on merit and relationships governed by love. He soon discovers that love and merit hold little place in the Tsar’s dance company. 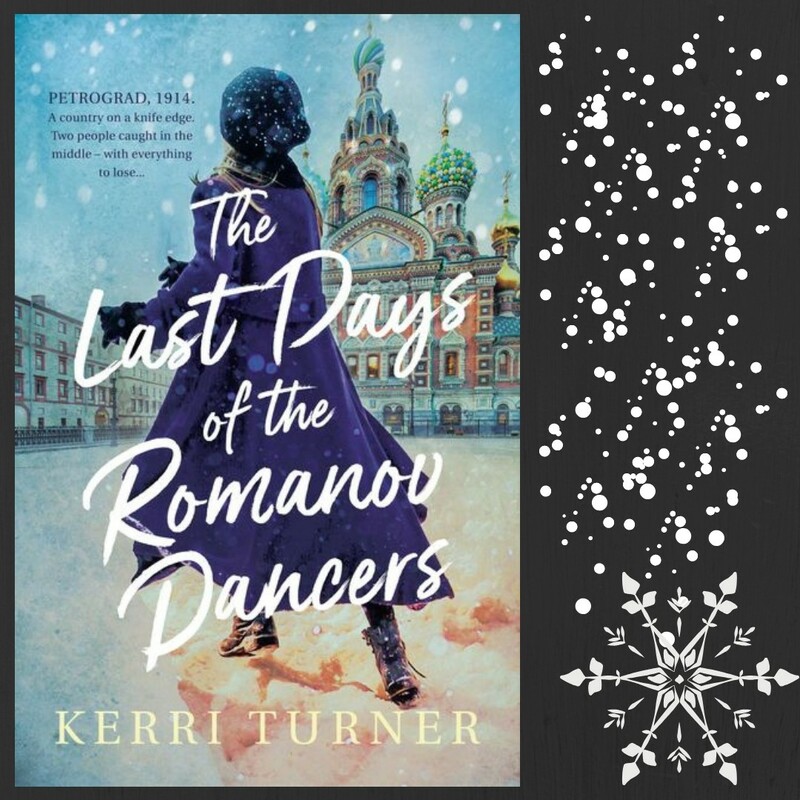 The Last Days of the Romanov Dancers is a well written and researched story of forbidden love in a time of war. It successfully transported me to St Petersburg (as Petrograd is now called) and then back in time one hundred years. It was easy to feel Valentina’s and Luka’s fears of being plunged back into grinding poverty at any moment, so precarious were their situations. The building fury of the working poor towards the ‘let them eat cake’ attitudes of the rich and powerful was very well handled. If you’ve read your history, it’ll be no spoiler to remind you that this is the same period as the Russian revolution which saw the assassination of Rasputin, the ‘mad monk’ in 1916, followed by the Tsar’s abdication a few weeks later and the execution of the entire Romanov family in 1918. This book is a real page turner, but don’t expect to be greeted with puppy dogs and roses. Kerri Turner has faithfully followed the dark traditions of Russian literature when it comes to story lines.